ᐅ THE CUSINART DEEP FRYER REVIEW YOU'VE BEEN LOOKING FOR ! If you get the wrong type of gadget, it can haunt you forever and affect your children. I’m not even joking. Okay, I am, but this is really a very important decision. The right kind of gadget can make or break any frying spree. If you’re in doubt, picture this. 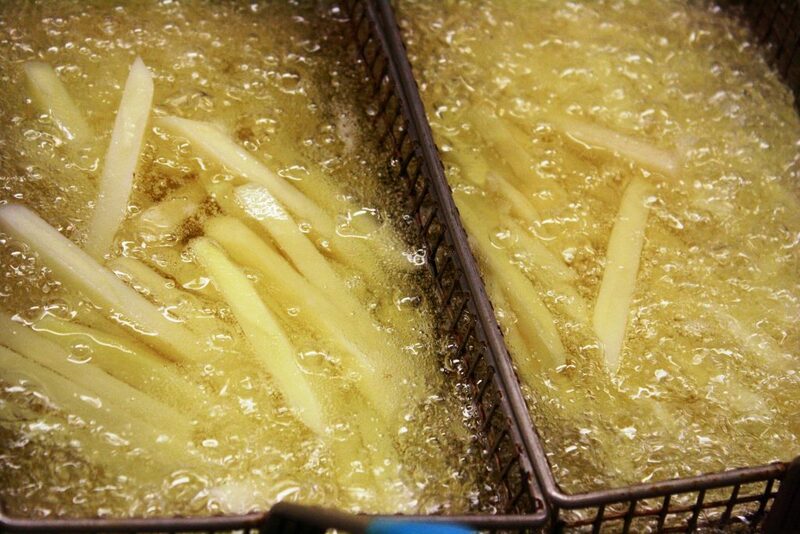 This is how frying looks like in a regular deep pot or pan. You love frying, you like the smell of fried food, fried food just tends to make you feel better about life, and so you whip out your regular pan and fry. Have you ever thought about all that toxic smoke coming off of the pan? Think about how dangerous frying stuff uncovered is. Anybody could get hurt. Do you think about how heat is distributed around your kitchen and you’re bathed in sweat all because you’re frying? It doesn’t have to be this way. And that is why I’m here. I decided to do this Cuisinart deep fryer review to let all the frying enthusiasts out there know that there is a better way. The compact size makes this model just perfect for apartment dwellers or kids in college. The fryer has a capacity of 4-quart and can hold up to 2-3 pounds of food which is great for family-sized meals. This model has extra large rotisserie which means it was built for frying turkey. Must-have for all the turkey lovers. The answer to your frying mishaps and problems is a deep fryer, and with the Cuisinart brand, there’s something for everybody. Whether you’re a college student living in a studio apartment or you’re employed living in a rental or you own your own house, there’s a Cuisinart that can meet your daily, weekly or monthly frying needs. At this point I should stress that I’m not trying to sell you a Cuisinart. What I’m doing is simple. I’m going to give you the facts and features of the most popular Cuisinarts out on the market, their pros and cons, and then step aside so you can decide. There are so many deep fryers out there, it’s a real maze. 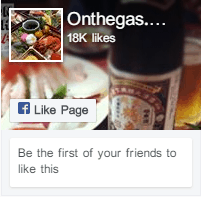 This is just a guide to one of the brands. Now that we have that cleared up, let’s x-ray some deep fryers. Any piece of metal that can hold oil and is strong enough to withstand heat can fry. Sure, it may be uncomfortable and highly inconvenient, not to mention stressful, but it is still frying. The thing that makes Cuisinart stand out is that their products are designed to help you savor the good life and bring the best out in your favorite recipes. 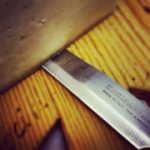 It’s not just about cooking, what you’re cooking in also matters. Cuisinart presents a deep fryer that takes up less space and fits easily into any kitchen cabinet. It’s easy to use and maintain so you have no troubles with deep frying even on spur-of-the-moment occasions. The compact size is about the size of a toaster which makes it just perfect for apartment dwellers or kids in college, so everybody can be a part of the fun. Again its unique size also makes it an ideal wedding, graduation or house-warming gift. This compact deep fryer has a fry basket that can hold up to ¾ pound of food in 1.1 liter oil capacity, and the temperature reaches up to 375⁰F and uses 1,000 watts of power. It heats up fast and fries even faster, and its nonstick die-cast frying bowl maintains selected oil temperatures for the best results. It has an adjustable thermostat and temperature control as well as indicator lights that let you know when the unit is on and when set temperature is ready for frying. As an added bonus, it has a removable charcoal filter for odor removal and a magnetic plug. The housing is brushed stainless steel and the whole unit has a limited 3-year warranty. The heating element is not separate from the body of this unit and this makes the exterior to be hot very fast. The oil basin is not removable. You have to lift the whole unit and turn out the oil by yourself, filter and then keep it. The oil basin is not dishwasher safe because of the attached die-cast heating apparatus but it can be cleaned with a sponge. 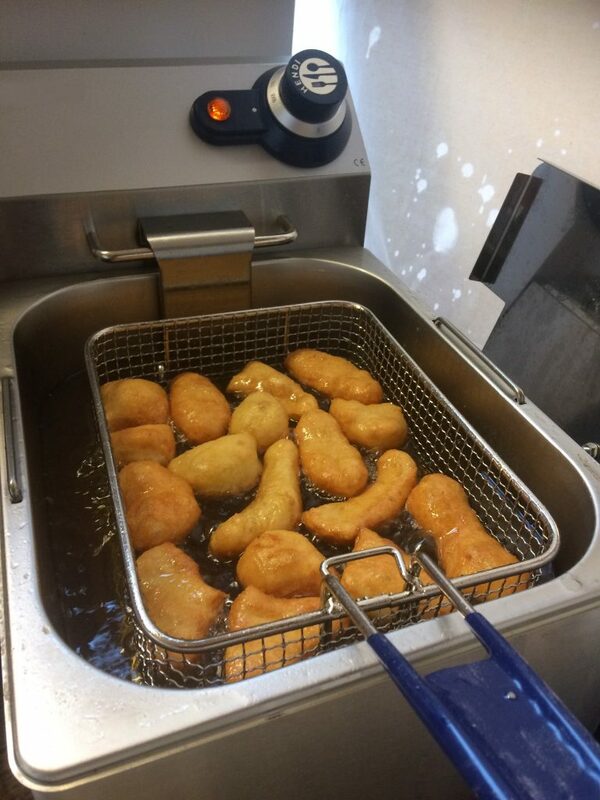 This is a digital deep fryer that is designed to create delicious family meals and perfect batches of all your favorite fried food including donuts, tempura and fries. It has a medium capacity that can cook up to 1.7 pounds of food in a 3.4-quart container. As part of the features, it includes a stainless mesh basket with a cool-to-the-touch handle and a control panel that offers a digital 60-minute timer and temperature control dial. It has an immersion style heating element that has up to 1800 watt power and an exterior that remains cool when touched. This 1800 watt deep fryer makes frying in the comfort of your kitchen effortless, with a magnetic breakaway cord that ensures safety. Although bigger than the compact size, it still isn’t very big or very compact. Even if you’re opposed to deep fryers and frying, you’re going to love this deep fryer. This is the Cuisinart professional deep fryer that you’ve heard much about. 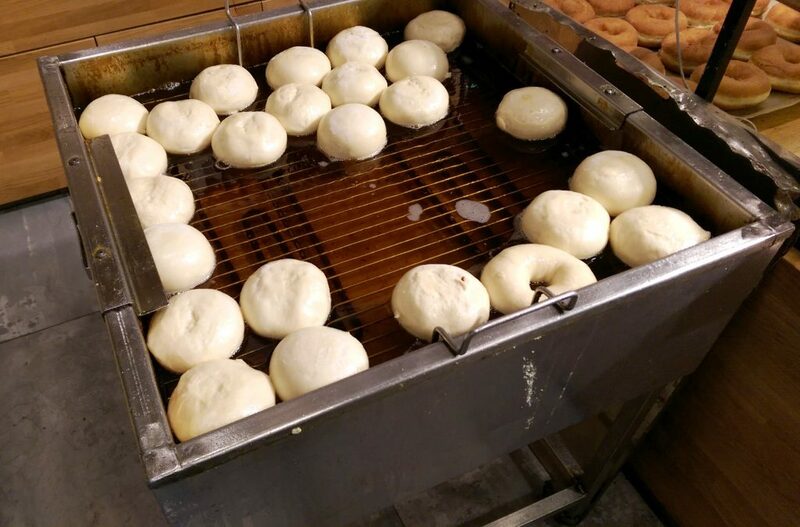 It can make restaurant quality deep fried foods easily, quickly, right in the comfort of your home with no added stress or mess. The Cuisinart CDF-200 deep fryer is a complete, self-serving frying unit that lets you make restaurant quality dishes right in the comfort of your home without all the hassle and tussle that is often associated with restaurant kitchens. The top of the unit features a stainless steel domed lid with condensation catcher that has a viewing window, allowing you to monitor your food while it’s cooking. When you lift the lid, you come to face with the two-position heavy mesh basket nestled in the stainless steel oil container. This basket is set in two positions; one for cooking food in hot oil and the other for draining the food. The basket leans against the high power heating element. 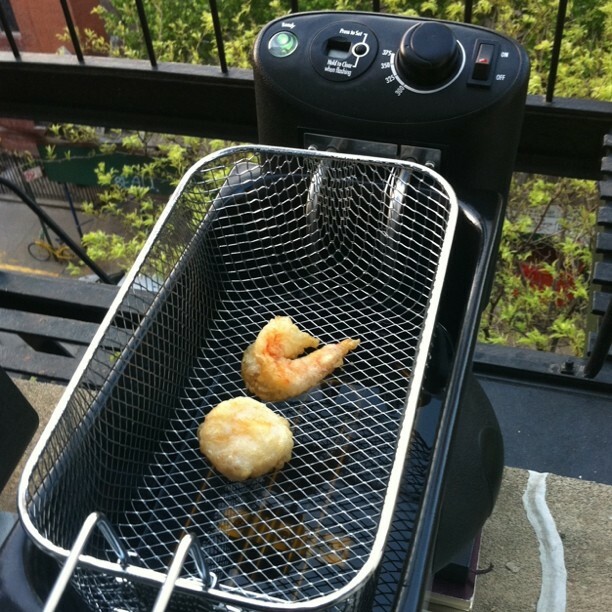 It is equipped with a heating element that is fully immersed in the oil and a control panel that has a power light that signals that the machine is on, a ready light that lets you know that it’s the set temperature to start frying, a timer that gets up to 30 minutes, and an adjustable thermostat that ranges from 175⁰F – 375⁰F. The 1800-watt immersion style heating element is backed up with a protector and it consists of the heating rings and a control panel that houses the adjustable temperature knobs and timer. As an added measure, a 3 foot safety breakaway power cord is attached to the back of the heating element. It fits very tightly and only breaks away when enough force is applied. This way your device won’t trip off when it’s in use and you can yank on the cord to pull it out in case of a real emergency. Safety features also include an overload auto-shutoff protection, and a safety interlock system that prevents operation until the control panel is properly assembled. The heating element rests on the oil container and the heating rings extend below to lie on the container. The enamel-coated oil container has a capacity of 2-1/5-pound, 1 gallon and is removable. The food is fried to a crisp, crunchy, golden perfection. Attached to the outer body of the unit is a collapsible cool-touch handle. It has a lid with a vent that allows moisture to come out while frying. The lid also has a viewing window that allows you to peep in on your food; that is if it is not clouded by all that steam. The handle of the fryer is cool touch, and the fryer has a capacity of 4-quart and can hold up to 2-3 pounds of food which is great for family-sized meals. 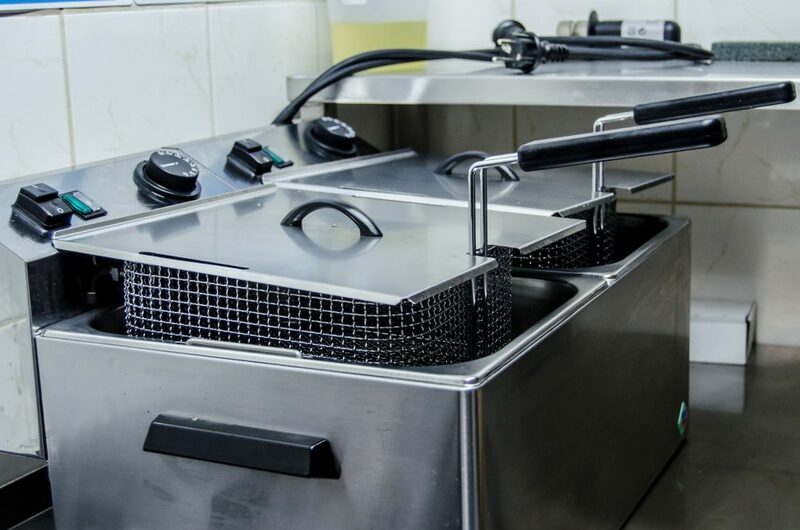 This unit comes with three stainless steel baskets, one large and two smaller baskets that allows multiple frying at a go. The 1-gallon oil container is removable and has a sprout for pouring out the oil, and the oil container, lid and baskets are all dishwasher safe. The outer casing of this deep fryer is brushed stainless steel. The entire unit is of solid build and the brushed stainless steel fits easily with any kitchen décor. 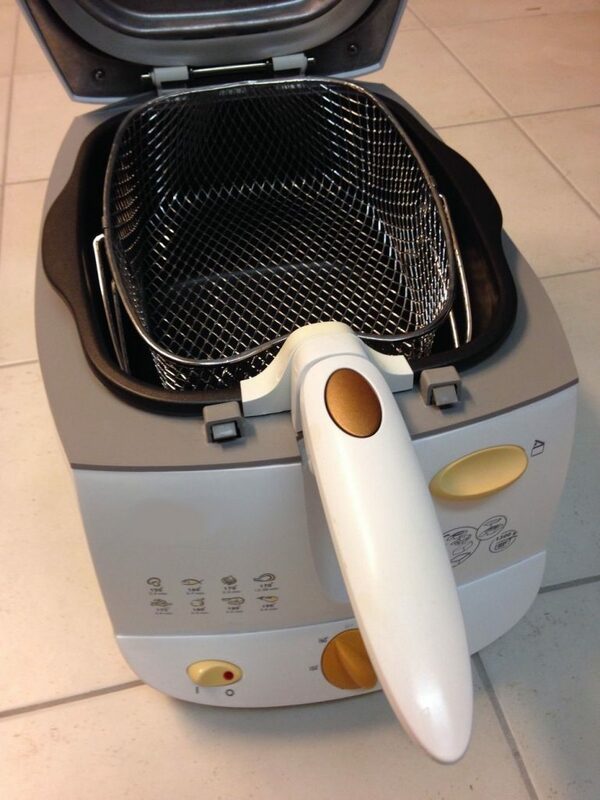 It’s a chef tested deep fryer and all the parts are dishwasher safe except the heating element but even that can be easily cleaned with a sponge. The unit comes apart easily and builds up just as well. This unit is a complete workhouse and it comes with a one-year warranty. I call this one the Cuisinart turkey fryer because no other fryer can fry a turkey like it can. It is an extra large rotisserie deep fryer, and it has a marvelous regal look. This means that it was built for frying the turkey and other birds and seafood. It not only fries a whole turkey in less than an hour using less oil than most traditional fryers, but it also fries up large portions of entrees, appetizers and even snacks! It can also serve as a pot of sorts to steam (without oil) vegetables and the like. From appetizers to entrees to deserts, this giant fryer offers endless possibilities! It has a built-in timer that gets up to 120 minutes and an adjustable thermostat control same as all the other Cuisinart deep fryers. It has a 5-liter capacity, and a rotisserie function which can fry an entire 14 pound turkey in an hour. It comes with a large stainless mesh basket with a cool touch handle and measures 20.2 x 16 x 16.4 inches. The exterior is a stunning silver color. It serves a dual purpose as it not only deep fries but also steams food. Because of its extra-large size, it may not be suitable for home cooking. Conclusion – Good enough for you? That right there is the Cuisinart family of fryers for you. So whatever you want to fry, Cuisinart has something that is appropriate for you and your food. From small deep fryers to extra large deep fryers, the entire Cuisinart collection has got your back. Some of the products seem to be better than others but on a general scale, they are not bad. Before you decide which product to buy, it’s important that you consider the size of your family, the use you expect to get out of the product and your budget. I hope this Cuisinart deep fryer review has been able to help in some small way. Stay on the fried side of life always.